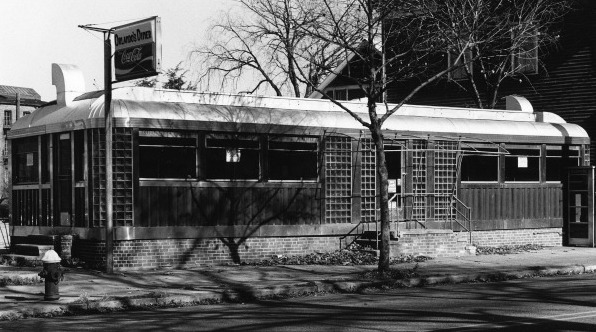 The National Register of Historic Places listed Poirier’s Diner will be restored and re-opened at a new location at 1380 Westminster Street on the West Side. The Poirier’s Diner is probably better known as El Faro to those who last patronized it when it was situated at Fort Thunder. It was removed from its Atwells Avenue location when Eagle Square was redeveloped and has been looking for a permanent home ever since. Developer Jon Özbek has begun a full scale renovation of the diner with the help of General Contractor Stack Design Build of Providence, the RI Historic Preservation & Heritage Commission, the Providence Revolving Fund, and MODA, LLC. This project represents a significant investment in the City, while it will also create new jobs. The Diner will be a welcome addition to the burgeoning West Side business community. This restaurant will be the fourth collaboration between Jon Özbek and Michael Sears, who together have brought Loie Fuller’s, The Avery, and Ama’s to the West Side. The Diner will be open for breakfast, lunch and dinner, 7 days a week. And it will feature an updated version of classic American Diner fare, along with a full bar and outdoor patio seating. It is expected to open in the Spring / Summer of 2012. The Diner is scheduled to make it’s way down Westminster St. between 9 and 10 am tomorrow morning. We are very excited to be a part of such an undertaken here at Stack and look forward to a successful project. Come on down if you’re in the neighborhood – it’s sure to be a treat! I ain’t gots know editors here. I usually wait for an email from my speller in Virginia. There usually quicker two notice errors and too email me. ironcially, i am the worst speller, but a great copy editor. And i was busy all teh day! Wow, that’s great! Broadway has come along nicely and its good to see Westminster building up a bit more. Its nice to see something coming back to dear old Providence. I lived across from this dinner at 556 and ate there much too often and as nice as the owners were, lets hope they don’t have the same cooks. Great to see this project happening at the former auto business property (we have enough of those on Westminster). It was a nice surprise to drive by on my way home from the train today and see the diner sitting there. The success of that restaurant group is pretty amazing – 4 places within what, a quarter mile? I hope they succeed again here, I am definitely looking forward to walking over when they open. The good news is the diner is done. The other good news is it is now available for rent on Craigslist and you can rent it and open a bar/restaurant and I will come there to drink/eat (mostly drink). $100K a month? That seems a bit steep. It doesn’t even have a stove, or sinks!